Decorate your home for Christmas just the way you want it. If you’ve always loved all things Santa, then liberally decorate your home with the jolly symbols of the holiday – Christmas characters. On your fireplace, instead of hanging up regular stockings decorated with names, hang stockings decorated with St. Nick. 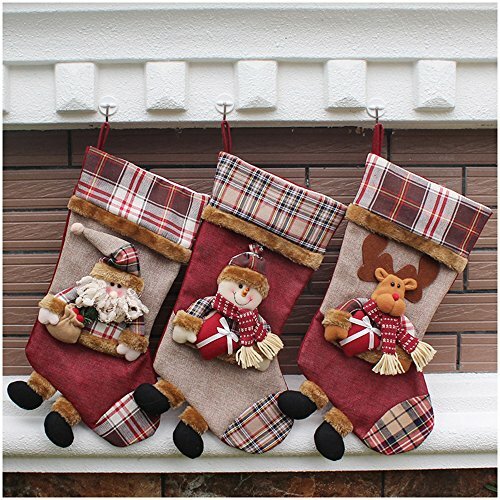 Use Santa Claus stocking holders to keep them in place. An FYI, there are beautiful vintage Santa stockings available for purchase. Gather wooden Santa figurines – you can find these in a variety of sizes from many different materials and place these in groups all over your home. You can tuck them into a corner on a bathroom cabinet or group them together in a basket on the back of your toilet if you’re the type who decorates the bathroom, too! Put up Christmas cards with Santa on them or display them on your mantel or entertainment center. Prop up vintage Santa postcards among your Christmas decorations. Use Santa quilts on the arm of your sofa to snuggle beneath or hang them from your wall. Put out pillows on the sofa with prints of Santa. In the dining room, cover the table with a Santa tablecloth . 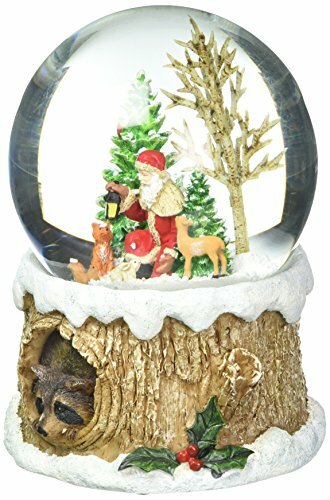 At your Christmas Eve or Christmas Day dinner, use Santa snow globes as place markers. On the tree, hang hand-painted Santa ornaments and Christmas balls with images of Santa on them. If you prefer to decorate your home with Frosty the snowman, you can collect snowmen and line them up on wooden shelves in the living room or on a fireplace mantel or on top of your piano. You can stack Frosty collectibles in a snowman painted wooden bowl. 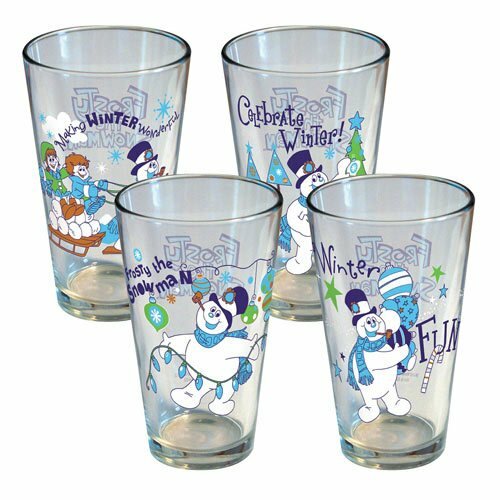 In the kitchen, you can serve drinks in Frosty the Snowman glasses or serve the traditional Santa cookies on Frosty the Snowman snack plates. By the front door, you can have a Frosty greeter – a three-foot wooden replica of the beloved snowman. Make sure it’s in a corner so that if something bumps against it and it falls over, it won’t be damaged. Set up medium-sized Frosty the Snowman collectibles around the bottom of the Christmas tree. One of most beloved of all Christmas decorating characters among children and adults alike is that of Rudolph the Red-nosed Reindeer. This much-loved character first came to be back in 1939. The popular reindeer was written in a story by an employee of Montgomery Ward. If you love decorating with Rudolph, you can buy Rudolph the Red-Nosed Reindeer ornaments to hang on your tree. 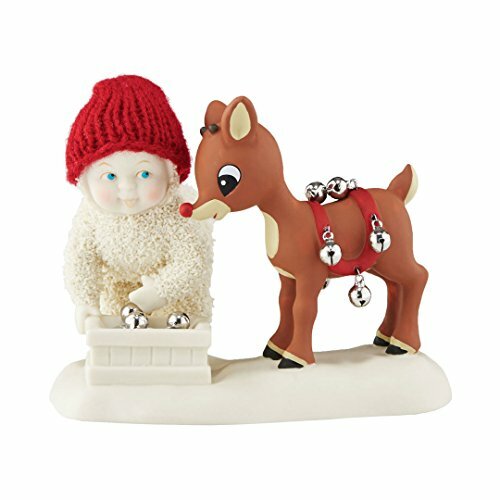 You can also find Rudolph collectible figurines to arrange around your home. There are Rudolph personalized ornaments , Rudolph stockings and even Rudolph pulling Santa’s sleigh displays for your yard. Look for a Rudolph the Red-Nosed Reindeer Christmas skirt to drape around the bottom of your tree. 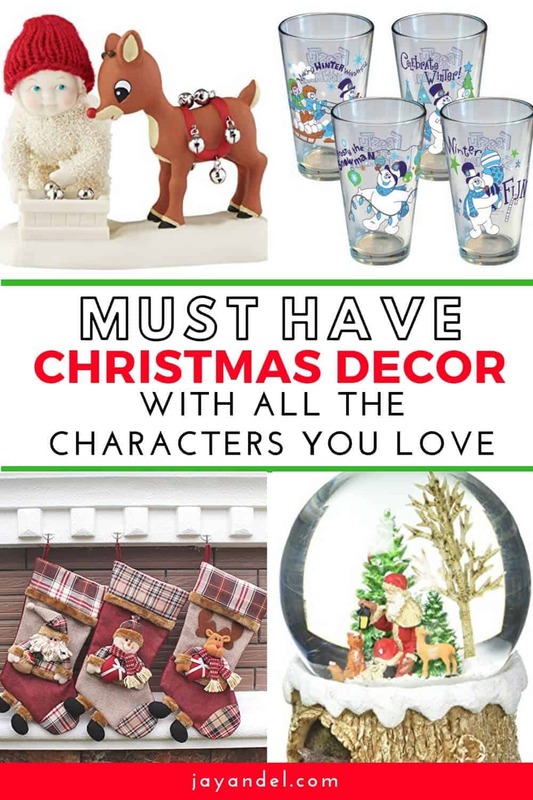 Choose the Christmas characters that remind you of childhood and go all out working them into your holiday décor! Follow us on PINTEREST for more Christmas Ideas & Inspirations!